One of Palm’s special accessories for the Pre and the Pixi is the Touchstone Charging Dock. It’s quite unlike most docks. It’s wireless. Just place the Palm Pixi on the Touchstone and it begins charging. No cables or hassle necessary. It’s actually quite similar to the Powermat Wireless Chargers we recently reviewed. It charges phones through electromagnetic induction. It may all sound great, but there are other factors including price I’d recommend considering before picking one of these up. 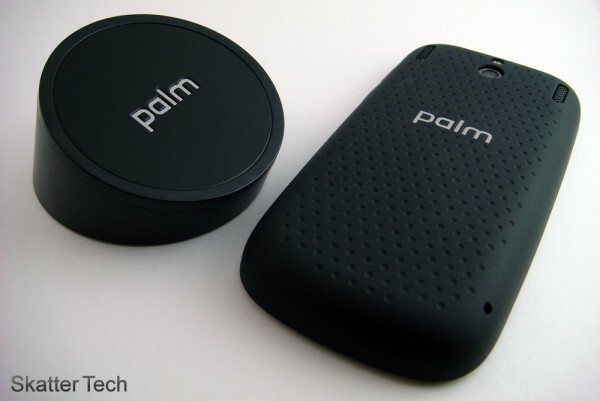 The Palm Pixi isn’t compatible with the Touchstone wireless charger out of the box. You’ll actually need to purchase a special rear plate for the phone for it to work. Removing the included rear plate was a tad bit difficult. Outfitting the Pixi with the new one Touchstone-enabled back cover took just a few seconds. It’s a bit frightening at first since you’ll have to be a bit forceful, but it fortunately didn’t break. All the buttons work perfectly with the cover on. There’s cutouts for the camera and all other components. While it seems like a “faceplate,” it is actually completely flush and doesn’t feel like an add-on. The rear cover is studded and actually has a better grip than the original case. The device magnetically latches itself to the charging base and stays firmly in position. The flap covering the microUSB port to directly charge the device was quite annoying. It’s nearly impossible for someone with big hands to get the flap open. Even when I did manage to get it open, it was quite firm and would often snap back into place before i could manage to get the cable connected. The tiny magnets that keep the flap shut actually ended up withering off after a few days of use. If you pick one of these up, I’d suggest sticking to using the Touchstone Charging Dock and avoid using the microUSB cable. However that doesn’t mean Palm excused from this issue. It’s a fairly basic design flaw and should be addressed. The simple design of the Touchstone Dock makes using it very easy and convenient. The charger has some weird suction material on the bottom side that keeps it firmly in place. It’s not sticky, but somehow manages to adhere itself strongly enough onto vertical or even upside down surfaces. The unit actually looks quite sharp as well. It’s a bit on the heavy side, but that shouldn’t be an issue since you’ll probably leave it on your desk at all times. The Dock doesn’t come with a AC adapter. It has a microUSB slot on the back. You’ll have to use the AC adapter and cable that came with the phone. It would have been nice to see an additional one included. While it seems as though you can connect the dock to your computer, you apparently shouldn’t. They do make adapters to use the charger in a car. It’s convenient since the dock will adhere to the dash firmly. For the most part the Touchstone met my expectations. Other cell phones manufacturers should take the hint and roll out devices that do the same. Now the big question: Does this device even work? The Touchstone uses electromagnetic inductive charging to power to devices wirelessly. From what I’ve seen, recharging the Pixi using the Touchstone or a direct USB cable took the same amount of time. However there was one minor annoyance with the Touchstone. I don’t know if my unit was buggy, but it kept disconnecting and reconnecting at random times. It was simply sitting on its own. No one was moving or fiddling with it. Plus, since it has a sound that beeps, it got quite annoying one night. I had to end up manually muting the volume just to avoid having to hear that sound repeatedly. Nonetheless, the phone still gets charged and the convenience makes purchasing the Touchstone justifiable. It actually feels so fun to do that I almost never forgot to charge my phone. How much simpler could it possibly get? 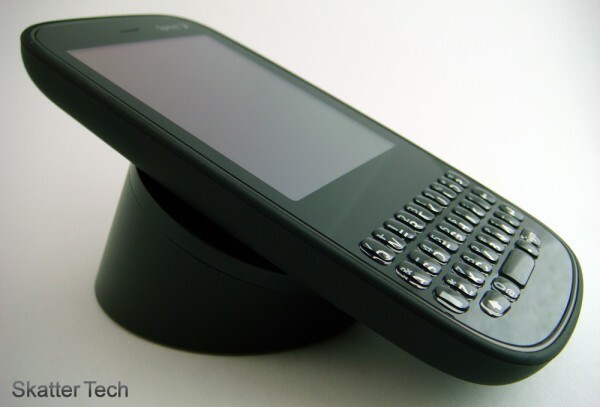 Place the phone on the Touchstone and it charges. Although the Touchstone isn’t essential. I do definitely recommend it. I’m saying so because I found the flap that covers the charging port on the Pixi to be just too big of a hassle to deal with. Sure, if you can manage to get it open then just stick to your method. However if you are having issues being able to plug it in. Definitely consider this. 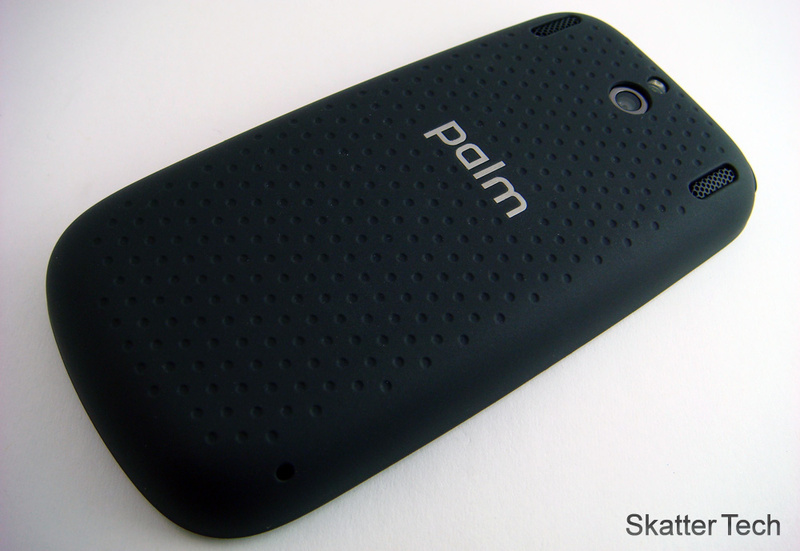 It would have been neat to see Palm throw this gizmo in along with the Phone, but it might make the phone rather expensive and people would begin to complain about that. If you are ready to pick one of these up it’s available for around $40 on Amazon. It normally sells for an MSRP of $70. The entire idea is a simple convenience that you’ll never be able to give up once having. 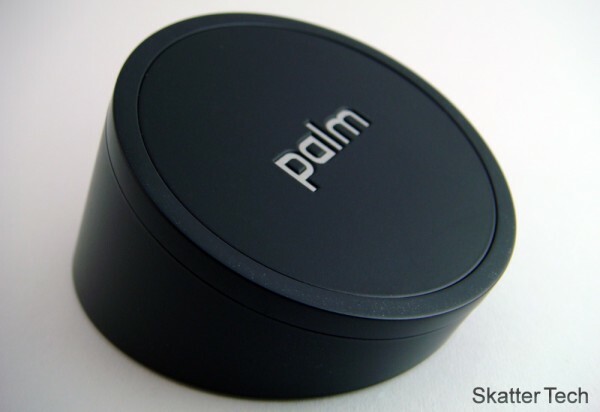 Charging made easy by by the Palm Pre Touchstone charging dock. A small device that almost do everything you wanted for a charging device.